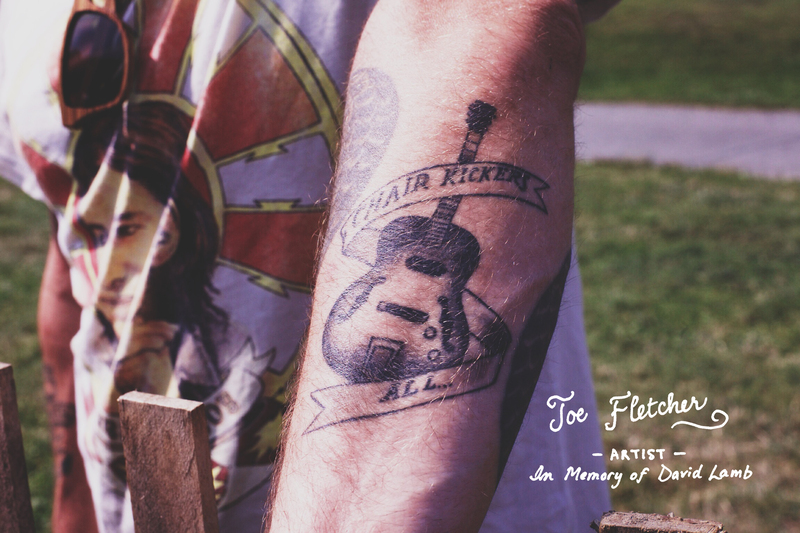 Congrats to our friend Joe Fletcher for winning our Third Annual Newport Folk Festival Tattoo contest. Fletcher, who was runner up in our first contest three years ago, and his tat (above) honoring the late David Lamb of brown bird pretty much destroyed all other contenders. 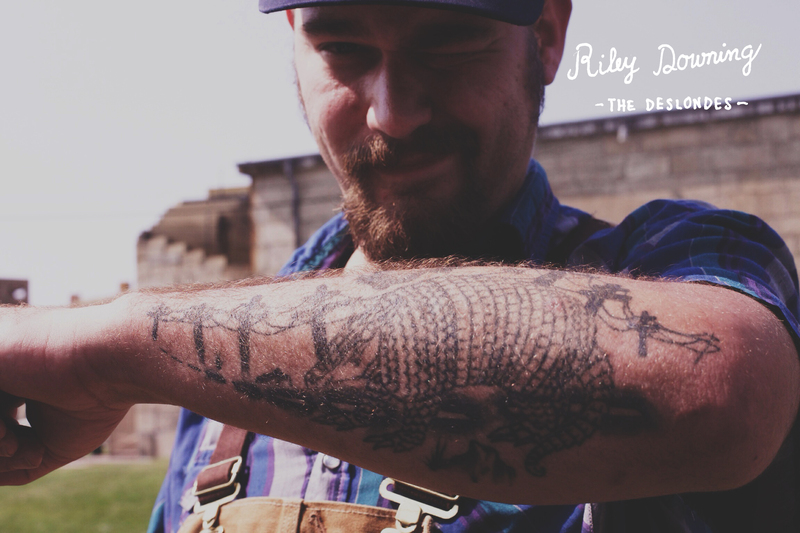 It’s worth noting that Riley Downing of The Deslondes (right) raked in a ton of likes on the band’s Facebook page for his armadillo tat (even more than Fletcher), but those votes didn’t make it over to the voting gallery so we unfortunately can’t count them. SO, Fetcher takes home the much-coveted $25 Cracker Barrel Gift Card. May your biscuits be warm and your stomach be strong, Joe. Check out the full gallery of the Newport 2014 tats here and watch for Joe Fletcher’s new album, You’ve Got the Wrong Man, which comes out September 23rd. The album is currently available for pre-order here (teaser below, which coincidentally kicks off in a tattoo parlor).